Overlooking the beautiful Salgados beach, golf course and nature reserve, this ideally located 5 star resort offers the perfect combination of relaxation, indulgence and family fun. 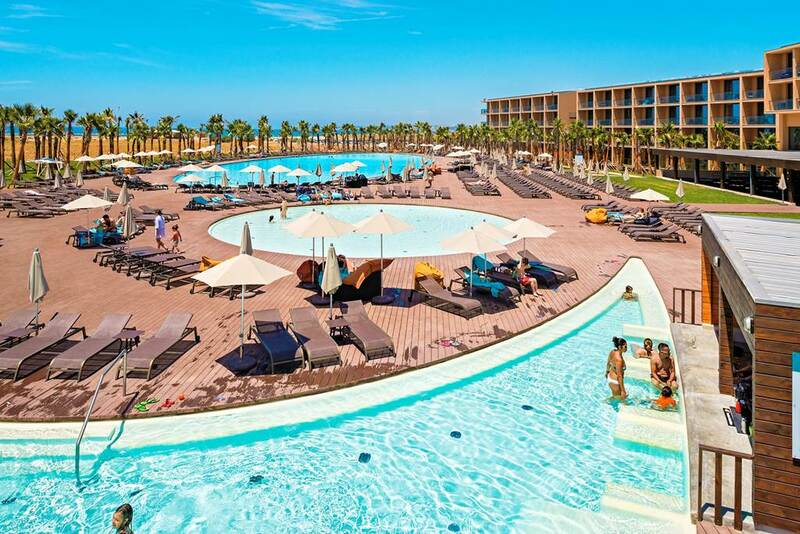 With a welcoming and laid back atmosphere, a great range of facilities for all ages, a choice of culinary delights including a dine around option and stylish and spacious accommodation, the VIDAMAR Algarve Hotel makes for the perfect holiday choice for all the family. Located in the Salgados area of Albufeira. 150m from Salgados beach (direct access). 200m from the Nature Reserve. 300m from Salgados 18-hole golf course. 3km from the bus station. Gym (minimum age 16yrs). Spa* with indoor heated pool, sauna*, steam bath*, massage treatments* and whirlpool*. Seasonal entertainment programme. Hotel-run kids’ club (4-11 year olds, open seasonally). Extensive palm gardens. Children’s play area. Wi-Fi available in public areas. Salgados 18-hole golf course* and Nature Reserve nearby. 3 salt water outdoor swimming pools: heated Chill-out pool, oval pool and children’s Pool. Indoor heated pool with whirlpool features*. Buffet restaurant. 3 à la carte restaurants* also available (reservation always required). Gin bar. Coffee bar. Swim-up pool bar. Poolside snack bar. Breakfast is served in buffet restaurant and dinner is served either in the buffet restaurant or Mamma Mia à la carte restaurant. Guests may dine around and experience the 2 other à la carte restaurants (Portuguese & Japanese) by using a food credit of up to €15.00 per adult and €7.50 per child. Rooms: 250. Floors: 4. Lifts: 6 . Transfer Time: 55 minutes. Child age: Up to 11 yrs. Official Rating- 5 star. *Local charge applies. Please note some facilities are available seasonally.